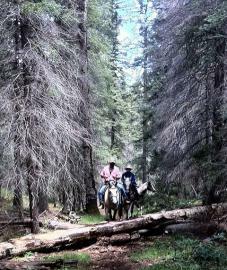 New Mexico Horse Adventures - Horseback Riding Vactions in Corrales, New Mexico! 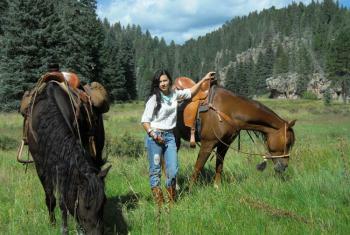 New Mexico Horse Adventures is the all encompassing equestrian vacation program for the horse lover. 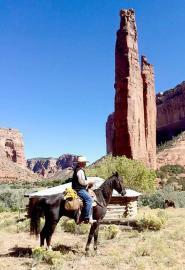 The Southwest is a beautiful place for an equestrian vacation all year round. You can ride in the lush mountains and mountain valleys in the summer and in the low lying mesas and river areas in the winter. We have a small square pen and a large outdoor riding arena. in all 3 Horses are available. Morgan horses with lots of trail experience. The Riding stables are on the property directly. Included in the Rates of the accommodation.